University of Edinburgh/RBGE student Lucy Reed, studying for the Masters degree in the Biodiversity and Taxonomy of Plants; thesis submitted August 2011. Supervisors: Dr David Long, Dr Michelle Hart and David Bell. 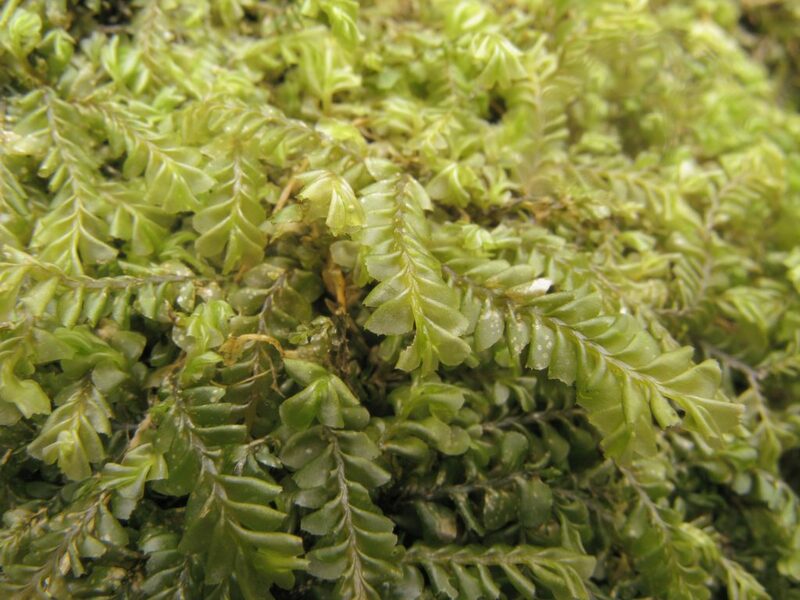 The leafy liverwort genus Plagiochila is known for high levels of infraspecific morphological variation and blurred species boundaries. To address this, Lucy sequenced the plastid rbcL and matK plant barcode loci, along with the plastid psbA-trnH spacer, and the nuclear ITS region, assessing the genetic distinctiveness of four British taxa of Plagiochila sect. Plagiochila (Plagiochilaceae), as part of our wider project to DNA barcode the British bryophyte flora. The molecular matrix consisted of sequences from 14 accessions of P. asplenioides, 15 accessions of P. britannica, 3 accessions of P. norvegica, 7 accessions of P. porelloides, and two accessions that were not confidently identified to any species. Most of the samples came from across the UK, although plants from Ireland, Italy, Norway, Sweden and Switzerland were also included. Several outgroups were also available – 5 accessions of P. carringtonii, 3 accessions of P. heterophylla, 3 accessions of P. bifaria, 4 accessions of P. punctata, 5 accessions of P. spinulosa, and 2 accessions of P. exigua. Lucy also undertook a herbarium study, to revise morphological characters for the taxa and correlate them with the molecular results. She scored a range of non-reproductive characters, using 13 of these for Principal Component Analysis (PCA). 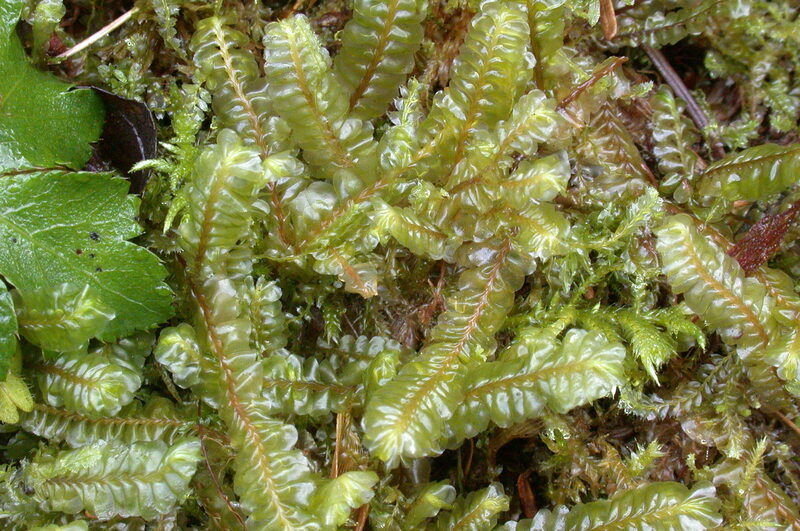 Because the plants are dioicous, using reproductive characters would have required male and female plants; furthermore, sporophytes are rarely collected, and not known at all for P. norvegica. Using the three plastid markers rbcL, matK and psbA-trnH, Lucy resolved two species groups – a P. asplenioides-P. brittanica group, and a P. porelloides-P. norvegica group. The branch lengths for tree produced from the regions that she sequenced were, however, short and statistical support was absent, so the markers could not reliably be used to distinguish P. asplenioides from P. britannica, or P. porelloides from P. norvegica. On the other hand, only one of the 7 P. britannica accessions that was successfully sequenced for ITS resolved with P. asplenioides; the rest resolved with P. porelloides. Again, branch lengths within clades were too short to confidently distinguish species. Plagiochila asplenioides: Lucy considered this species to be relatively easy to distinguish, because of its larger and more robust habit and larger leaves. There was, however, potential for confusion when dealing with smaller plants. However, in combination with DNA sequence data from the four loci, most individuals could be identified. Plagiochila porelloides: Lucy found that molecular sequence data could clearly separate this species from P. asplenioides and P. britannica. However, P. norvegica, which is separated from P. porelloides mainly by leaf apex shape and leaf margin tooth size, was not distinguishable using molecular data, and may be better either sunk, or reduced to a variety of P. porelloides, which already contains a lot of morphological variability. Plagiochila britannica: Lucy proposed that discrepancies between the plastid and nuclear gene topologies could be down to a hybrid origin for this species, fitting the diploid (n=18) status of the plant, as opposed to the haploid (n=9) status of both P. asplenioides and P. porelloides (key references: Paton, 1979; Newton, 1986). Plagiochila norvegica: originally described from Norway, this species has subsequently been found in Sweden and in England. Lucy included samples from England and Norway, but found no molecular evidence that they were distinct from P. porelloides, while the morphological differences that separate the taxa could be related to environmental conditions (Paton 1999).